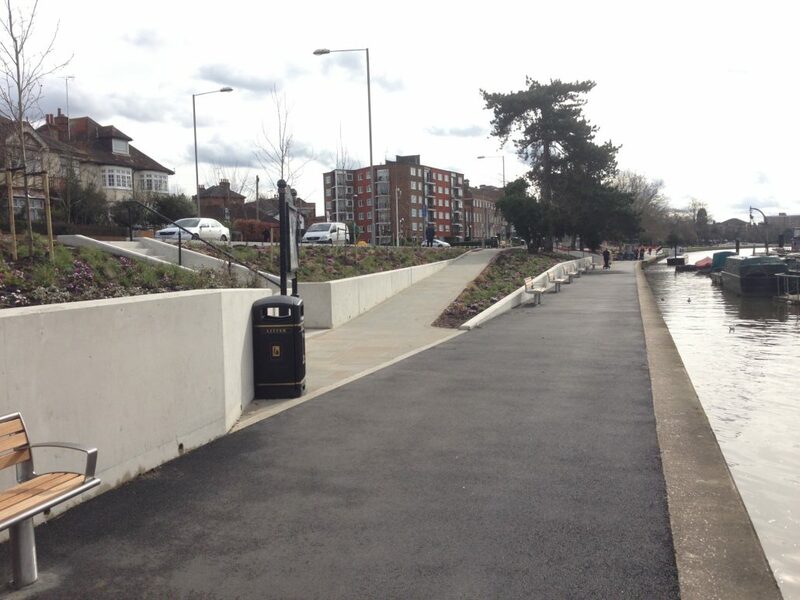 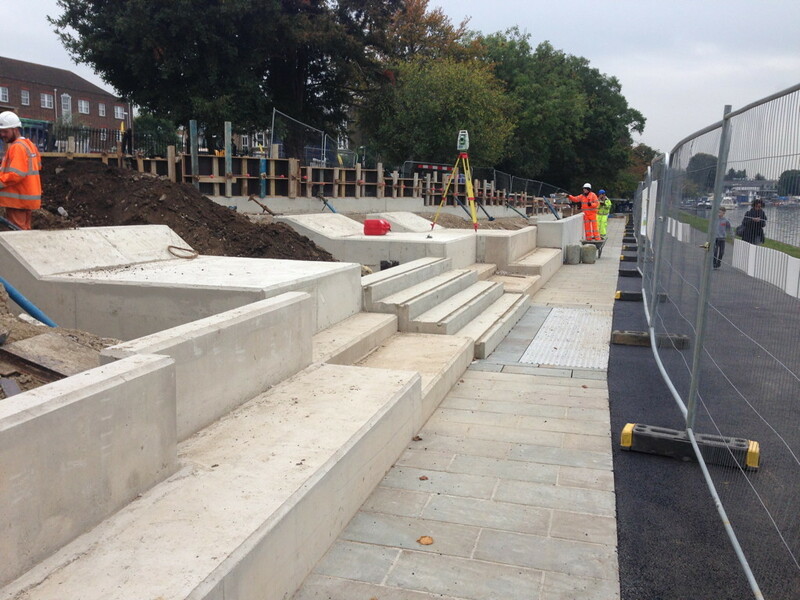 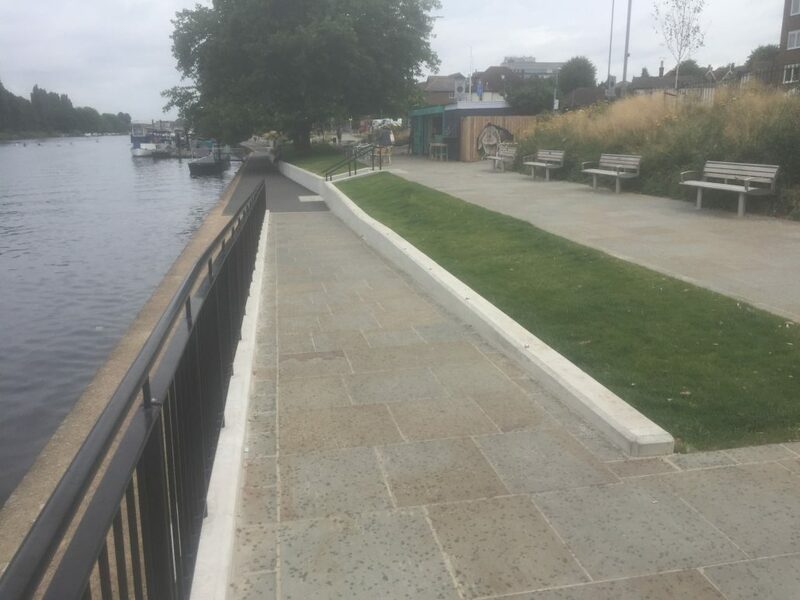 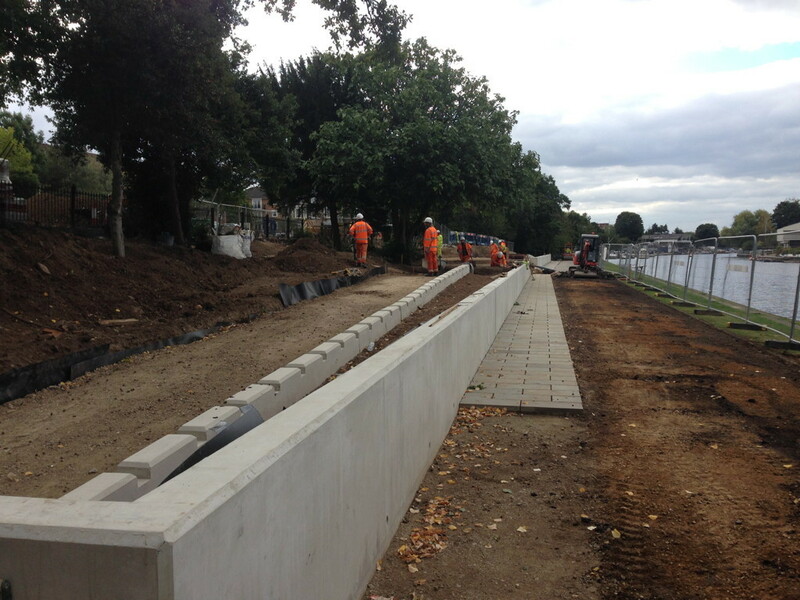 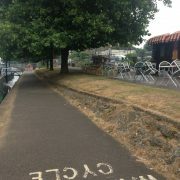 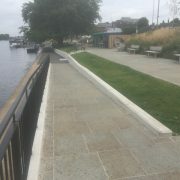 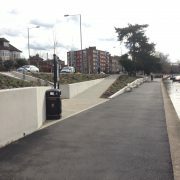 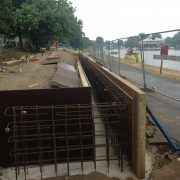 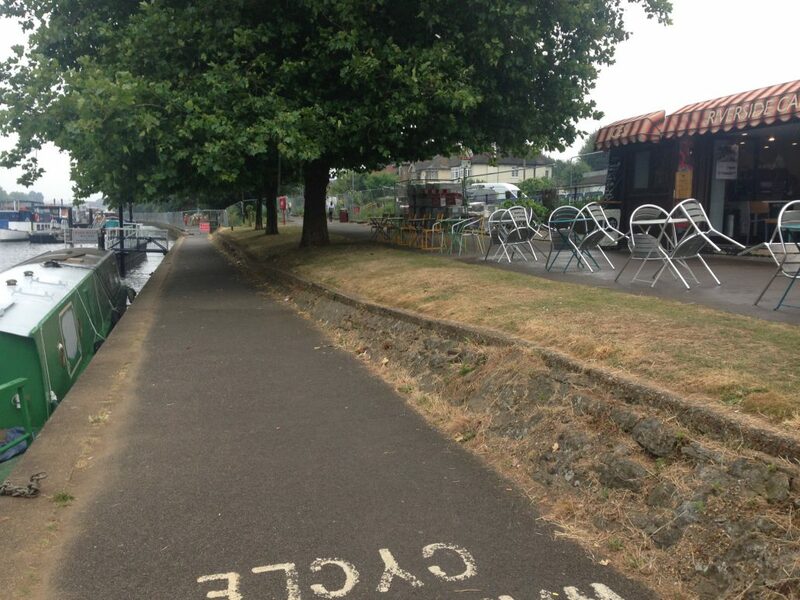 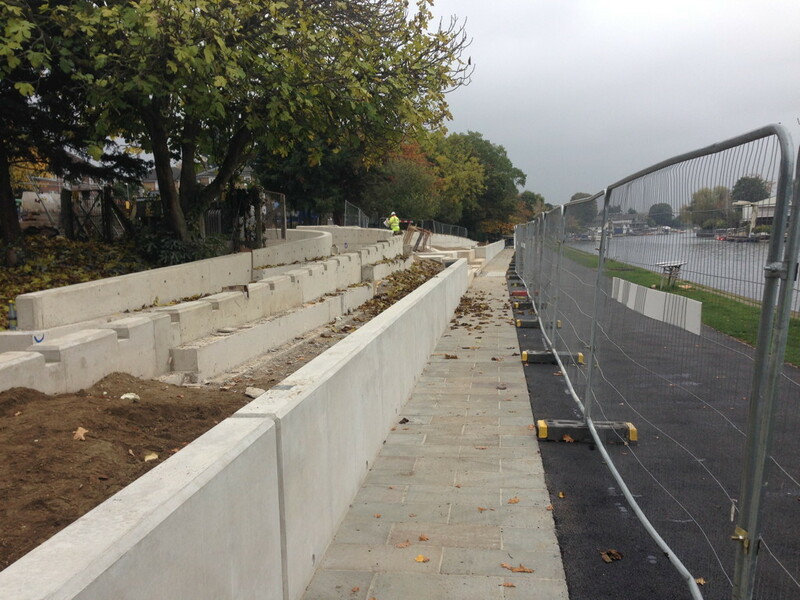 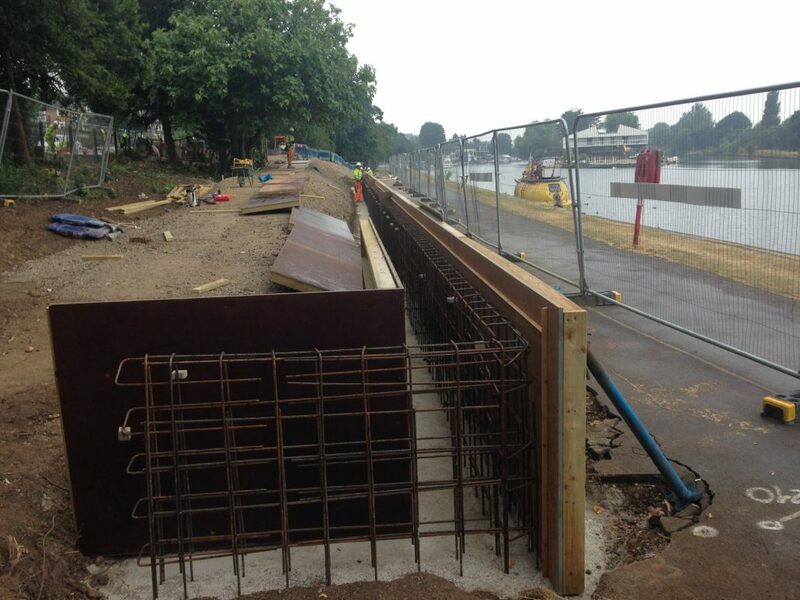 This scheme was part of the cycle highway project for TFL where a social riverside area was to be re-developed for Kingston Borough Council. 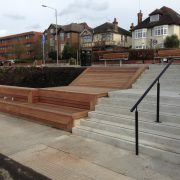 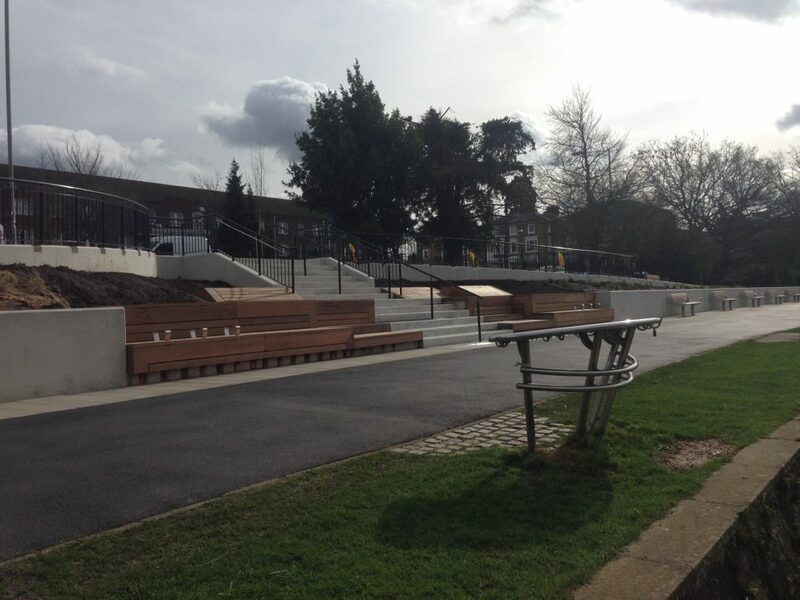 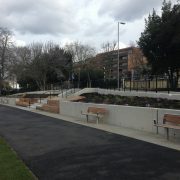 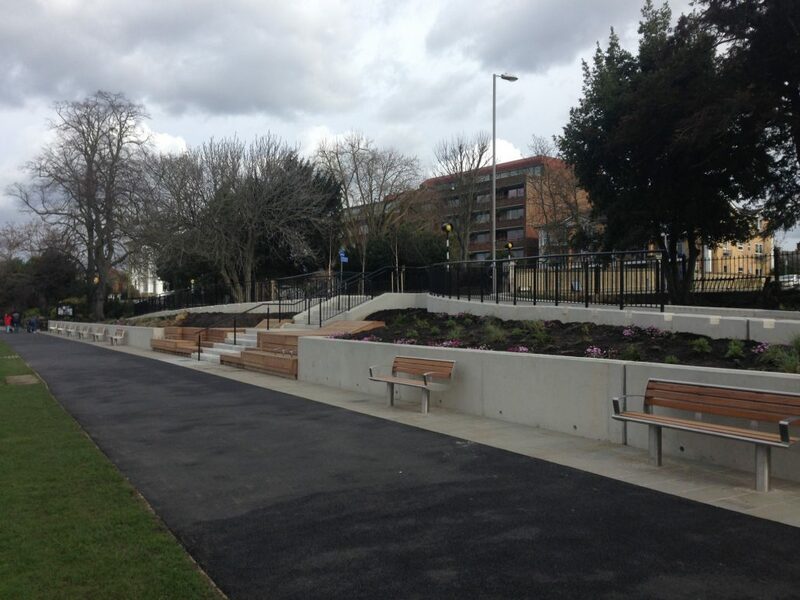 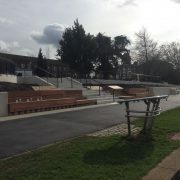 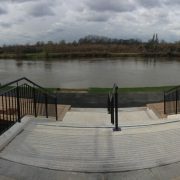 It was constructed on two sites both offering garden areas for local residents to enjoy at their leisure. 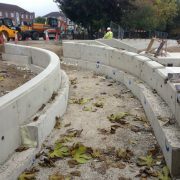 Working for Kier Highways, TAG construction were awarded the tender to construct over 500mtrs of reinforced decorative concrete retaining walls, cast 7no large concrete staircases with stainless steel hand rails, create 4no Cumaru timber decking seating areas, install over 100 metres of pedestrian guardrails and to supply and install many other decorative furniture items. 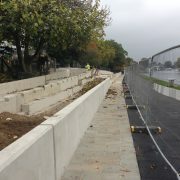 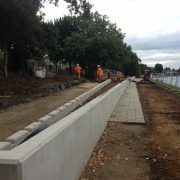 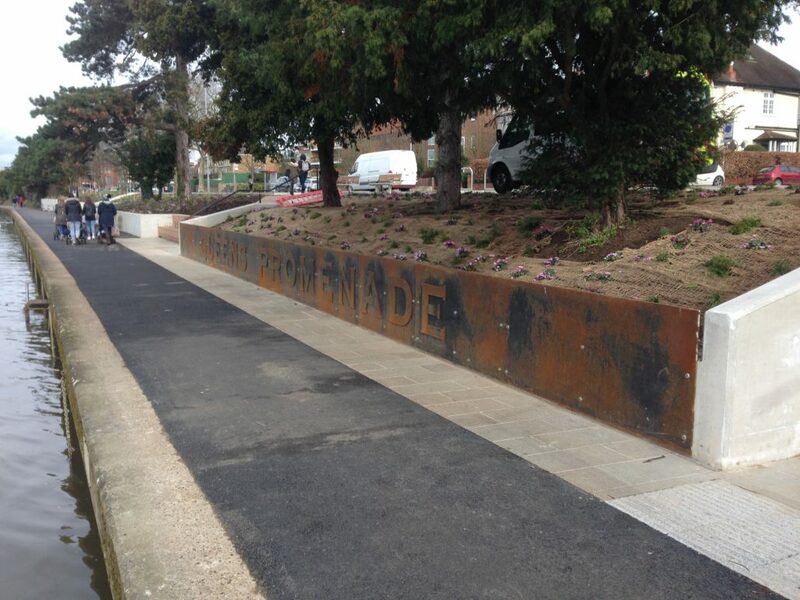 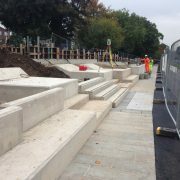 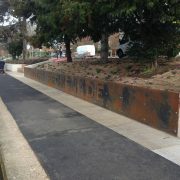 These works were carried out alongside the groundworks contractor in very challenging conditions. 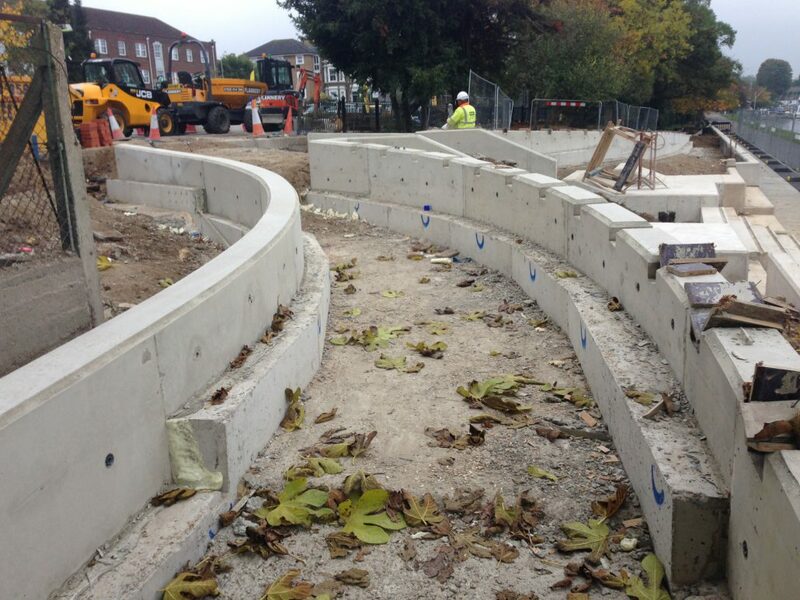 To ensure these works were delivered efficiently and safely TAG developed a good working relationship with the groundworks contractor and Kier site management. 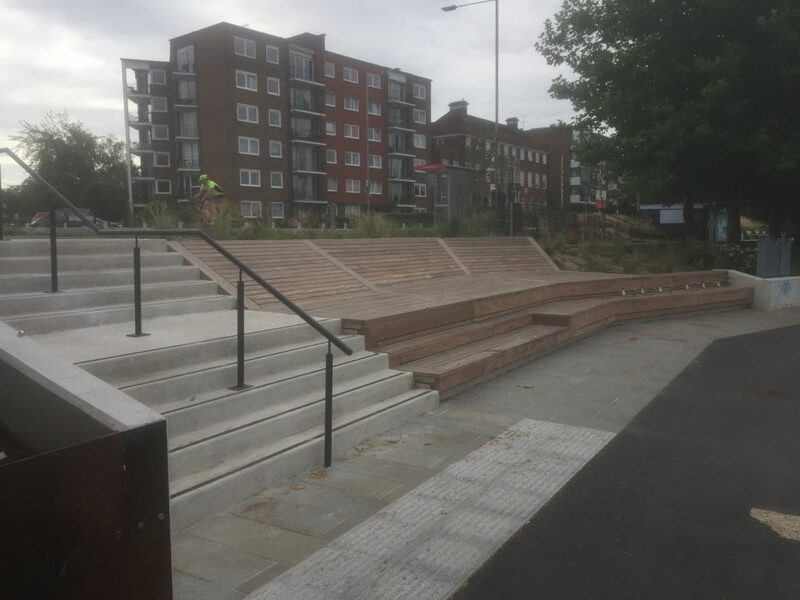 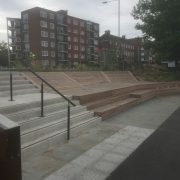 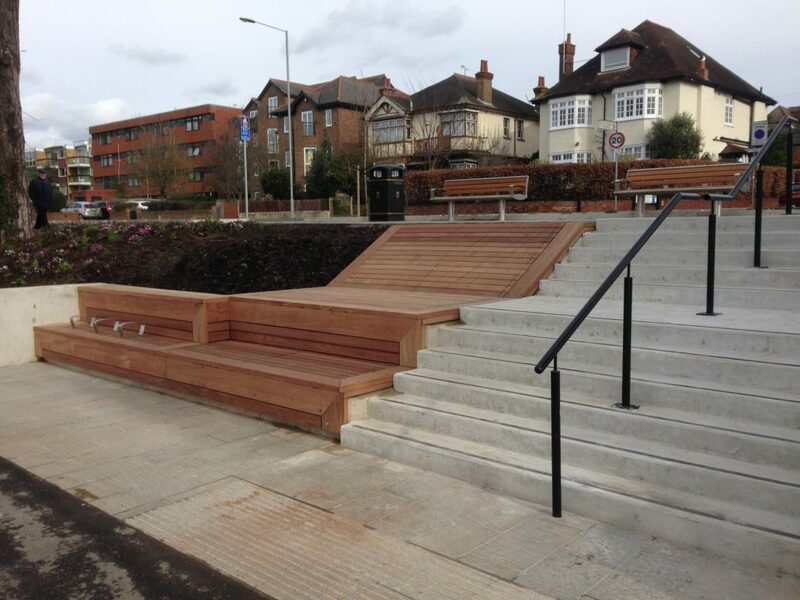 TAG worked very closely with Kier Highways to overcome many challenges that arose from the scheme to deliver a high quality end product for the local area to enjoy.